Welcome to BabyBoo Jr ! 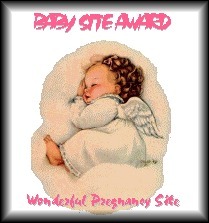 Here are the best treasures of the web for new and expectant moms and dads. I have collected baby and parenting freebies, contests, midi files, shopping links, and lots and lots of resources. There are many freebie sites out there, but this little subsite is different. I just don't even link to things where, for example, you get a free book, but then you're joined up for some monthly service that you will forget to cancel. We've all been there - let me save you the hassle. I only put the resources here that I liked myself, and I send this site to friends and family who are expecting. If nothing else, download a few midis so you can practice the words to children's songs, and check out the great sites I found to help you. If you have more time and curiosity, grab a few web freebies, enter a sweepstakes or contest, get some actual free stuff, or check out my special shopping links. If you find a dead link, please let me know. owned by BabyBoo. Want to join the Moms of the Web? BabyBoo Jr graphics and concept © 2004, content © 1998-2008 VirusHead. All Rights Reserved. BabyBoo Jr is not affiliated in any way with BabyBooTM Baby Boo Inc.